CONNECT Engineering to Liberal Arts. COMMIT to building wide-ranging, world-changing skills. Ready to shape the future? Create the next big thing? Save the planet? This is where you start. 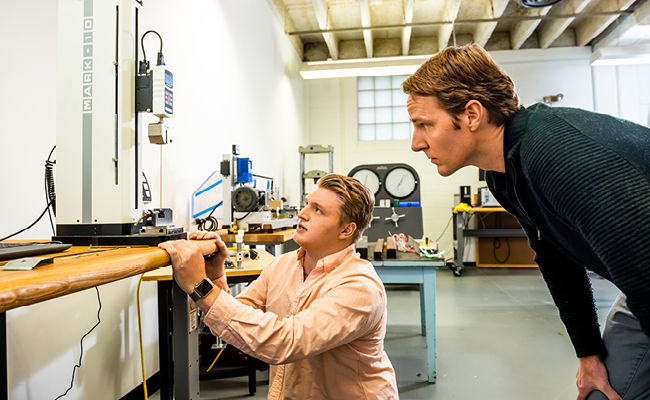 As a student in the UGA College of Engineering, you’ll build the technical and scientific expertise necessary to tackle the biggest challenges in the discipline. And here on the campus of one of the nation’s 20 best public liberal arts universities, you’ll also gain the academic perspective and professional depth vital in our global society. You can choose from eight undergraduate programs – including the only programs in agricultural, biological and biochemical engineering offered in the state - and seven graduate programs. You can even choose our dual degree program in German and engineering.